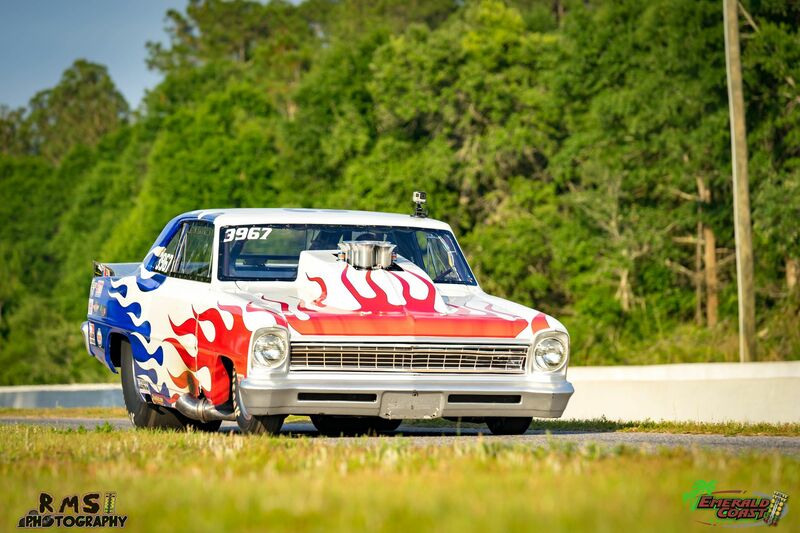 Tyler Lee Racing is a force to be reckoned with at the Emerald Coast Dragway, his big tire 1967 Chevy II seems to be winning nearly everything it enters lately! Tyler Lee took the W in the finals against Harmon Ferguson in the first ever running of the Door Slammer class here at ECD after going. Lee went #1 qualifier in the first round of qualifying, brought it back around for 2nd round to try and better his ET, although he didn’t go any faster in 2nd round and stayed on top all the way to the end. Congrats to Tyler Lee Racing and as always we appreciate your continued support of the Emerald Coast Dragway! It’s always nice to see the guys that continue to support the class run well. Tyler & his crew chief John Fahr have worked hard this year and the results show that there continuing to run faster & faster. Congrats to everyone else that ran this weekend as it was for a great cause. Special thanks to Emerald Coast for putting on a first class race.